Egypt: Secret of five Gods is rated 2.9 out of 5 by 49. 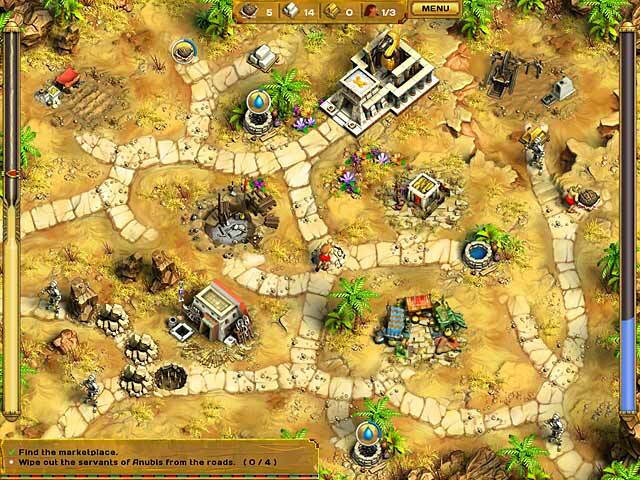 Rated 5 out of 5 by Asfridur from Ancient challenge Excellent excellent game. I simply love it. Very nice and detailed graphics. Loads of an ever growing amount of new "critters". The background music becomes somewhat repetitive and annoying after after a while, but luckily you can just turn it off. I love city building games, and Secrets of the five Gods is just perfect for me.I only wish you could play casual. As you progress you can level up the buildings more and more. The detail gets to me every time, so I had to sit on my hands every now and then, and focus on the objectives ^ Sadly you do not have the time to level them all. I'm hoping we will get a sequel with such an option. Rated 5 out of 5 by scuba1 from Loved Egypt Secret of Five Gods Wow! This is maybe the best designed game I've ever played. It is certainly the first time I've bothered to write a review. I get so tired of games that make you sit thru their oftentimes ridiculous story lines every time or make you wait while they slowly add up your points or show you your awards. 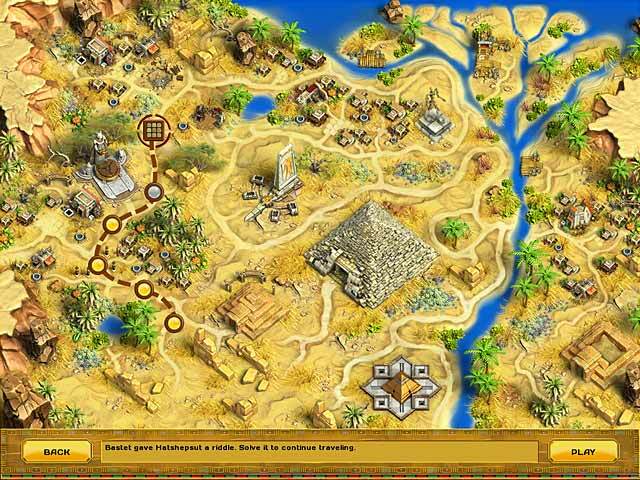 This one actually teaches a bit about ancient Egypt and let's you move right through it without a lot of down time. The graphics are great and although it is a little slow getting started, it does pick up to a challenging point pretty early on. My only comments are that it seems to tell you you have the best time, every time you finish a segment - even when you know that is not the case. Also I wish they would provide scores on time as well as points earned. I challenge myself on speed of completion and would like to see how my speed stacks up to others who play in the same way they compare my points. Rated 5 out of 5 by MermaidWishes from A fun and visually appealing TM game! If you like "My Kingdom for the Princess", "Royal Envoy", and/or "Pyramid Rising"...you will enjoy this game very much! I think the graphics are much more visually clear and more attractive in this game. It didn't take long for the difficulty level to go up and had to replay several of the #rather# early levels to get the "gold" award! Requires quite a bit of strategical thinking to win...I'm at the expert level with these games and was really pleased to have the difficulty level go up so early in the game! It's one I think you'd find yourself playing again and again! Rated 5 out of 5 by Blaxkleric from Don't Listen To The Others :-) If you're used to other time management games [e.g. Royal Envoy] then I can see why your carriers always going back to temple could be annoying. 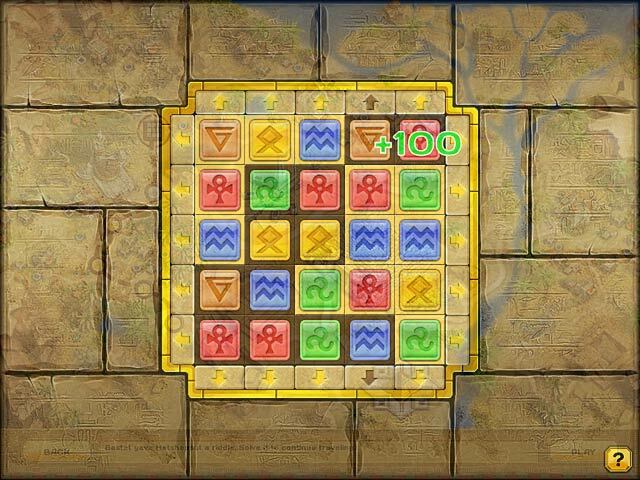 But once you get past I find this game great fun, though admittedly anything Egyptian I love. The maps are varied with new buildings, rivers, crocodiles, demons etc, and the spells [requiring the collection of water from wells etc] really gives the game some extra strategies [e.g. without them I doubt you can complete some levels on time]. The mini-games are rubbish though and annoying. Lots of levels and jolly Egyptian-themed music with good graphics. I actually prefer this to other time management games. Rated 5 out of 5 by Lyndy20 from A good strategy/builder game Similar to other resource gathering games, like My Kingdom for the Princess, Roads of Rome etc. I'm addicted to these types of games So this is a buy for me. I thought the music was pleasant and the graphics were decent. There is a generous timer, but you can continue playing if time runs out. There is a strong element of strategy as you can choose what to build on the building lots based on needs and existing resources, or lack of them. There are mini-games and awards to achieve. All in all a worthy addition to the builder/resource gathering genre. Rated 5 out of 5 by Bonniesan from Very Challenging Wonderful building/road clearing game. Very challenging keeping track of tasks, resources and bonuses. Only wish it were longer. I rated the storyline "OK" only because I usually don't pay attention to the story in TM games. Rated 5 out of 5 by mammamia21099 from Terrific time management game. Has enough twists to keep you on your toes. I thought this was a great game. The storyline features the Egyptian gods w Anubis and Set stirring up a whole lot of trouble for the citizens of Egypt. Your character must travel to 5 different Gods in search of a key. Of course, each god gives you a bunch of missions, hence the game, lol. I thought it was well written, amusing at times and had just the right amount of difficulty to keep you on your toes. If you are a fan of Royal Envoy and similar games, this one is right up your alley. Hope you enjoy it as much as I did. Rated 5 out of 5 by Snowfoxx from Reminds me of the old Sierra City Builders The graphics and music reminded me so much of the Pharoah and Cleopatra games of the late 90s, and I loved the storyline. This game is an autobuy for me! 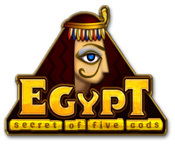 Rated 5 out of 5 by Kitty221 from Egypt: Secrets of Five Gods Quite simply put, if you enjoy games like Roads of Rome, My Kingdom for the Princess and even Island Tribe this is the Time Management game for you. I love the graphics, tasks are fairly challenging as you go and I find it just as addicting as the others I mentioned. Two thumbs up!! Rated 4 out of 5 by Altmoabit from Let Egypt go... Can not add much to the other reviews, been there,played that. I will say that I usually always play with the sound on but in this case the music got on my nerves pretty quickly. So sad that we find this game pretty good or playable, in my oppinion it is because for some reason strategy or TM games are out of season. Egypt has been done too many times. I actually would love to see another Cake Mania at this point.